The customer is a renowned pharmaceutical company based in Pune, India, that is one of the world’s largest producers of vaccines. The customer initiated an expansion of its manufacturing facility that resulted in an additional water requirement for the plant’s needs. A key challenge for this project was that the BOD of the readily accessible water source can be as high as 50 mg/L. 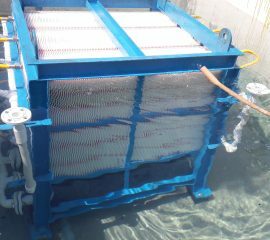 Another challenge was that the plant had limited space for construction of a new system to accommodate the extra flow. The customer evaluated two options: a membrane bioreactor (MBR) solution and conventional physical/chemical treatment, followed by media filters or ultrafiltration. 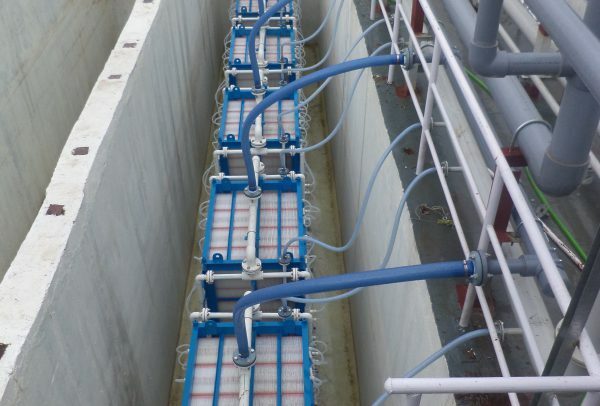 Due to the space constraints the membrane bioreactor solution was chosen due to its capability of minimizing unit operations while still producing high quality, ultrafiltration-grade water for the client’s uses. The customer then reviewed several MBR options and selected QUA’s EnviQ® Submerged MBR technology due to their positive experience working with QUA in the past. The plant had previously installed a QUA Q-SEP® Ultrafiltration system to treat process water that has been successfully operating for several years. 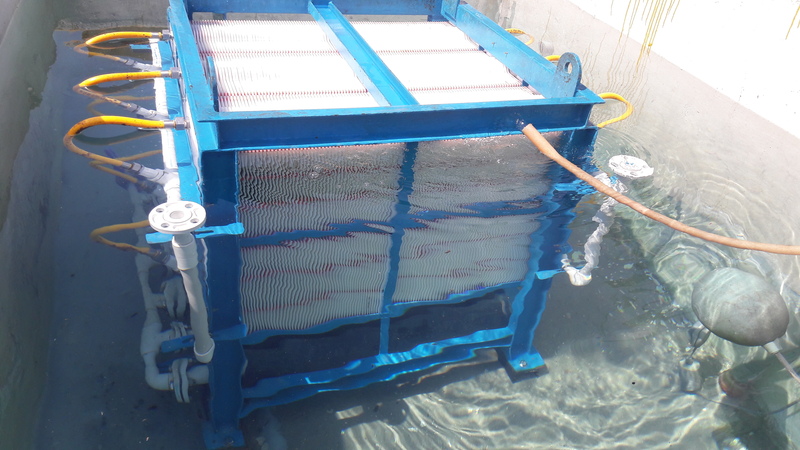 QUA provided EnviQ® Submerged MBR technology to treat feed water with high organics for a process water application. The solution designed consists of 12 EnviQ® 32C units in two streams, with a 24 total units installed. The system treats 4 million liters per day (MLD) for use as process water for the pharmaceutical plant’s operation. EnviQ® is a unique patented technology that combines the ruggedness of flat sheet membranes with ultrafiltration quality water. Due to their lack of an external frame, the membrane cartridges are able to withstand harsh conditions while minimizing biofouling, which is very important due to the high BOD nature of this water. QUA was available throughout the system design and engineering process, as well as the commissioning phase of the project to ensure the solution was successful for the client. This water treatment solution is important to the customer’s long-term expansion and production goals, and EnviQ® successfully delivered a reliable solution for the plant’s needs.